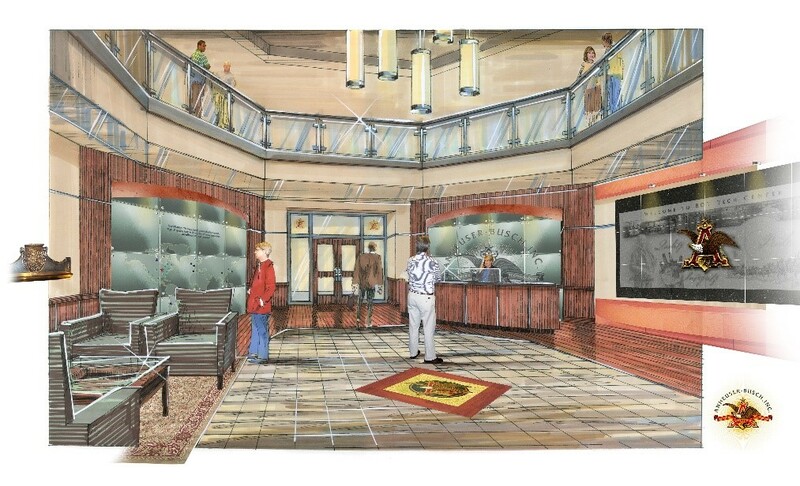 Lobby: New ceramic tile floor logo, new granite wall mural, new frosted glass wall mural and frosted glass logo and three new displays. Café – signage and photos. Main conference room – New granite mural, new metal logo.